Legitimate businesses have used automated telephone systems for many years. Techs designed the systems to reduce or eliminate the need for human operators and tech support personnel. Many websites feature systems in the form of conversational bots, i.e., robots or “bots” that answer questions based on keywords and phrases. For example, if you log on to Microsoft and ask a question about making your computer faster, the bot will give you a list of links to follow that may answer your question. Businesses use it as a time saving device. One report shows that these bots can answer 29% of a customer’s questions, saving 44% of time that would be otherwise used with live support. Automated phone systems are a part of every day life. They are used when you call a company for information so that you are directed to the right department. They can be annoying for the caller but in other ways, efficient. Another automated system that is popular is the ability to block or blacklist certain phone numbers that call unsuspecting people. Most apps blacklist phone numbers based on the number of people they call. If a phone number is used to call 1000 people, it is obviously a robocaller and, therefore, should be blocked. These systems tend to be relatively effective. Telemarketers and scammers waste our time and, in most cases, want to get our hard-earned money. You can download apps that will help you to trace unknown callers on your iPhone to ensure the caller is legitimate and will also block calls and texts. Users love the apps because they save time and prevent annoying people from calling. However, there is a new trend that takes it one step further. Robokiller has introduced a feature on their platform known as Answer Bot. Not only does it block unwanted calls, it plays a pre-recorded message to keep scammers and telemarketers on the phone. We’ve all wanted to get revenge on scammers at one time or another. We learn to avoid saying “yes” and other things that can get us into trouble, but scammers are clever and relentless. Answer Bot blocks unwanted calls and allows users to play a pre-recorded message for the person being blocked. For example, a scammer calls your phone. Answer Bot blocks the number, so you are not disturbed. While you go on about your day, the scammer hears a recorded message that sounds like a regular conversation. The caller is engaged in the conversation, thereby wasting his or her time. Many scammers and telemarketers are not permitted to hang up on a potential target, so they are forced to stay on the line. 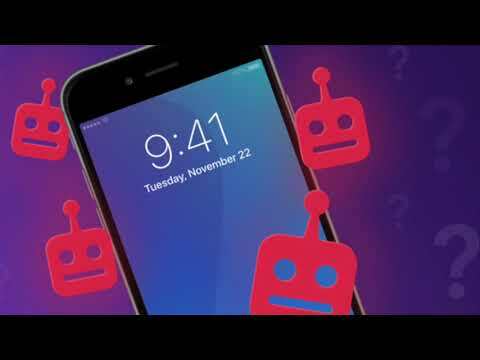 Robokiller reports that Answer Bot has prevented the scammers from making approximately 300 calls; the longest call recorded to date lasted 45 minutes. What’s better than reducing or eliminating unwanted calls? The knowledge that you’ve had just a little bit of sweet revenge.